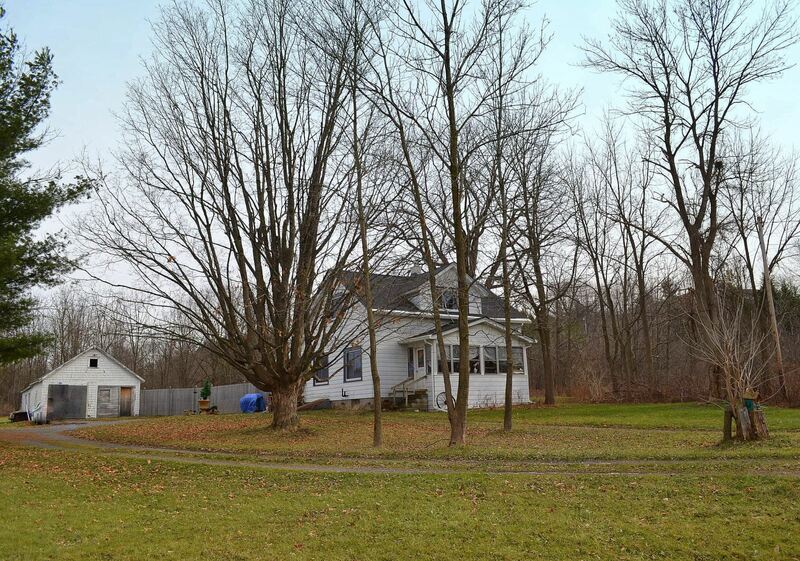 East Syracuse Real Estate | 1 Acre Lot | 4 Bedroom - Contact Bob McTague at 315-882-6610 for more information about this home located in East Syracuse, New York. East Syracuse, NY Neighborhood -. This 4 bedroom county farm house is ideally situated back from the road on 1 acre of land within the East-East Syracuse Minoa School District and close to parks, shopping, and major highways. First Floor Features - The home invites you to a front and side enclosed porch, a large living room, a formal dining room, a first floor master suite with a full bath, an eat-in kitchen, and another full bath/laundry room. Second Floor Features - The second floor provides 3 bedrooms and a full bath. Exterior - There is also a large detached garage/barn that could fit 4 cars, as it would make for great storage or a work shop and a partially fenced yard.